I have special feelings for the Tonight Show as when it was filmed in NYC and the host was Johnny Carson -Ed McMahon and Doc Severinsen lived in my hometown of Larchmont and even went to my church. My Dad also looked a lot like Johnny Carson and if someone asked for an autograph as he was walking to work in NYC, he would say “do you think I am Johnny Carson?” and if they said yes he would sign! Tonight will be the premiere of Jimmy Fallon as host.It is scheduled to make its debut tonight, on Monday, February 17, 2014, following Jay Leno’s second retirement as host ofThe Tonight Show on February 6, and will be the seventh incarnation of the franchise. The show is to be broadcast from Studio 6B at NBC Studios in New York City, the same studio whereJack Paar hosted The Tonight Show throughout his tenure and where Johnny Carson hosted The Tonight Show from 1962 to 1972 before moving the show to Burbank. The show is being produced by former Daily Show executive producer Josh Lieb and executive produced by Lorne Michaels. Fallon’s house band on Late Night, The Roots, will serve as The Tonight Show Band, with Questlove serving as bandleader.Steve Higgins will follow Fallon to The Tonight Show to serve as Fallon’s announcer and sidekick. 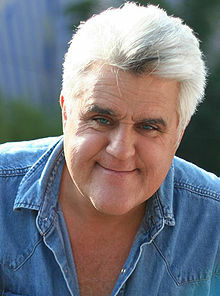 On April 3, 2013, NBC announced that Jay Leno will retire in 2014, with Jimmy Fallon taking over The Tonight Show beginning on February 24, 2014. At Leno’s suggestion, the date was moved forward by one week to February 17, 2014 to use NBC’s coverage of the 2014 Winter Olympics as a springboard for Fallon’s tenure. The date was later moved up a week to February 17, midway through the Olympics. This entry was posted in Manhattan, television, travel and tagged History, television, travel. Bookmark the permalink. ← Get Down with Downton Valentines!